This will be our report page on all of the activites and sessions we managed to cover at this meeting, including text, photos and videos. All meant to advance our nuclear educational information we provide to the grassroots public platform. Great ANS Winter Meeting in Las Vegas. This workshop is; Yucca Mountain-Is There a Pulse? 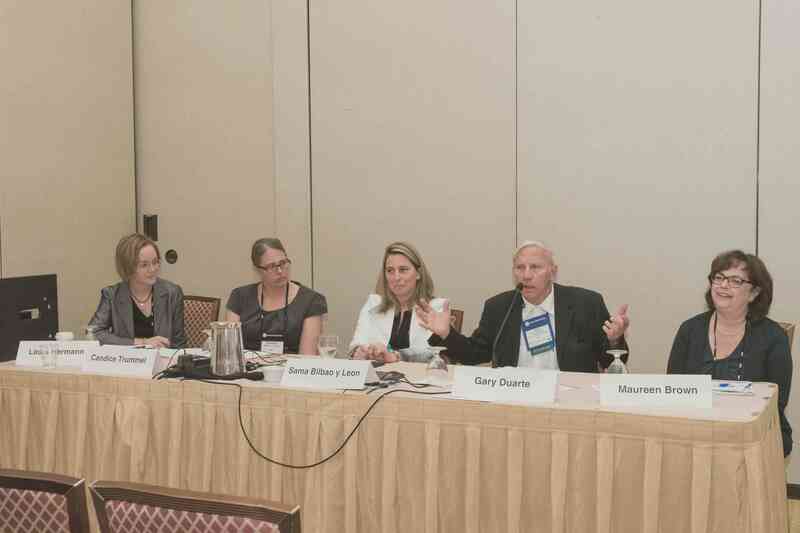 We attended several Communications workshops at the American Nuclear Society meeting this workshop discussed the current status of Yucca Mountain. The problem has always been that the politics have prevented the science and engineering STUDY from being completed by the DOE. The purpose of government is for the promotion of the general welfare of the citizens and securing liberty for all, e.g. manage public policy. Today, conflicts arise when our representatives micro manage our government agencies and national scientific laboratories. 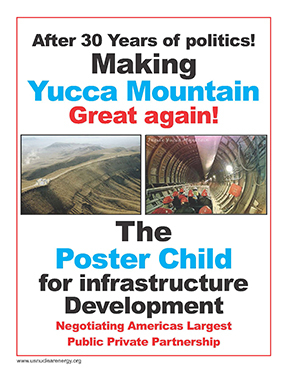 Yucca Mountain is such a case when the decision of its science study should be determined by science and engineering instead of political opinion. Until we separate these conflicts, government service for the public will remain in conflict. 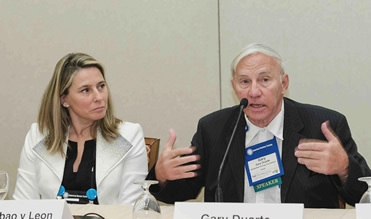 We had the opportunity to give our spiel at the Focus on Communications panel. A chance to push the need for GRASSROOTS nuclear education. The politics get the blast from the industry lobby and other consultants, but, the general public really needs to get up to speed so that they can provide a public opinion as constituents to their hometown legislators. The industry has to work towards "communications" between, politics, scientific & regulatory agencies, private business AND the PUBLIC. We don't do well at this because each entity "operates from its own opinion". This is why the general welfare of the citizens has to be a general communications negotiated agreement. Our session had close to 60-70 attendees. This is a good indication for the communications sessions because although it is important for technical sessions to educate, it is also important that what is stated it "understood". Focus on Communications: "Talking about nuclear waste, what works and what doesn't". I decided this year to TALK insrtead of PowerPoint. This in itself can have its distraction to the message. Slides are great, but, is most technical applications they always cram, sometimes cannot be avoided, too much onto a page. Focus on Communications: A picture is worth 1000 words, this saying hasn't changed in 1000 years. Industry discussions catching up with info and graphics communications in today's digital phone world. Today, it's headlines, photos, graphics and minimal context reading. In our opinion, this results in only a small portion of a topic understanding, e.g. our messaging, for the need of grassroots education requires more than a headline picture and from our observations, industry must improve its communications with the grassroots. We also caught ANS President Dr. Andy Klein, he returned to Reno to address Dr. Tsoulfanidis’s nuclear class at University of Nevada, Reno. Much to catch up on. We shot a good portion of this on video, working to convert it to a DVD format and will send along to ANS.